Lee.org » Blog Archive » Dr. Zarkov! There’s no sun! It’s 8:24 in the morning, and there’s no sun! Dr. Zarkov! There’s no sun! It’s 8:24 in the morning, and there’s no sun! I could not love this more. I introduced my hubby to this movie just a few months ago. It has aged so much better than I thought. Thank you so much for knowing the line! Hearing that the movie aged well, I’ll show it to my wife! Some of the movies from my childhood TOTALLY didn’t age well! I saw Baron Munchausen with Robin Williams a while back and it didn’t have the same verve! 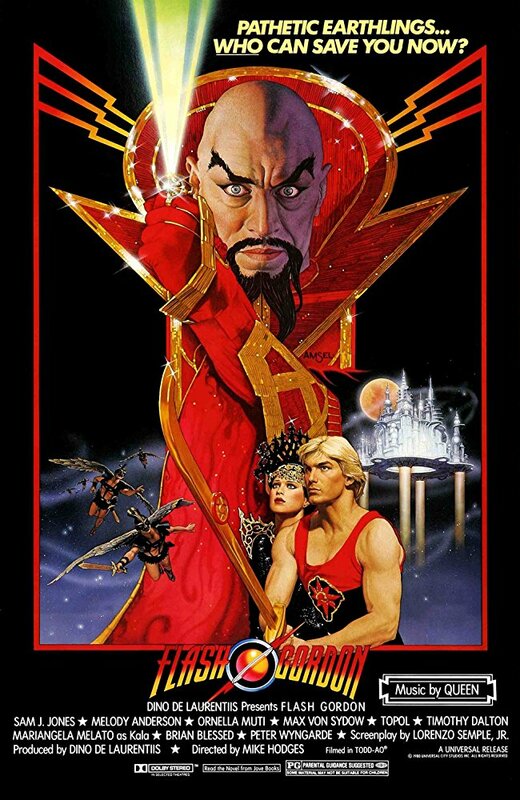 For those of you who are scratching your heads, we am talking about the fanciful 1980 Flash Gordon with an amazing original soundtrack by Queen! Supergirl (with Helen Slater) is one that didn’t age as well. But it’s still good campy fun. Faye Dunaway is flawless as always, but Peter Cook and Brenda Vaccaro are just cringeworthy in that movie.